This atmospheric production by Piero Faggioni, conducted by James Levine, captures all the brooding power and elegance of Verdi’s drama of love and politics. 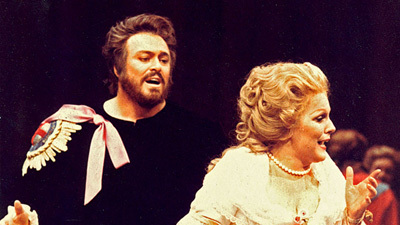 Luciano Pavarotti stars as Riccardo, the unlucky ruler in love with his best friend’s wife, Amelia (Aprile Millo). Leo Nucci is the husband torn between loyalty and his thirst for revenge, and Florence Quivar sings Ulrica, the fortuneteller who prophesizes the tragic ending.